The families of the three teens killed in a crush outside a Cookstown disco have extended their heartfelt thanks to the local community for their support since the tragic events of Sunday night. 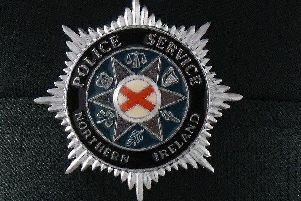 Relaying a message from the heartbroken families PSNI Detective Chief Superintendent Raymond Murray said: "The three families would like to extend their heartfelt thanks to the local community for their support since the tragic events of Sunday night. "They are grateful to all of those who have come forward to speak to the PSNI so far and appeal to anyone else who witnessed the terrible event to come forward and give their account to police." Speaking at a Press conference this morning, Mr Murray added: "The families want to find out exactly what happened to their children and have asked people to co-operate fully with the police investigation. "The families would also like to thank emergency services who responded at the scene and the staff at the Antrim Area Hospital." Mr Murray added: "Morgan's family will remember him for loving the simple things in life. He volunteered for a number of things including working at the local Cancer Research shop. He always had a smile for everyone and brightened up the classroom with his humour. "Connor's family want to thank Antrim Area Hospital staff, paramedics, ambulance staff, PSNI and members of the public who came to Connor's assistance in any way during that terrible time and Lauren's family will remember her as a very thoughtful and caring young girl who was outgoing and fun-loving."